Thallium Oxide Nanoparticle Dispersions are suspensions of thallium oxide nanoparticles in water or various organic solvents such as ethanol or mineral oil. American Elements manufactures oxide nanopowders and nanoparticles with typical particle sizes ranging from 10 to 200nm and in coated and surface functionalized forms. Our nanodispersion and nanofluid experts can provide technical guidance for selecting the most appropriate particle size, solvent, and coating material for a given application. We can also produce custom nanomaterials tailored to the specific requirements of our customers upon request. See more Thallium products. Thallium (atomic symbol: Tl, atomic number: 81) is a Block P, Group 13, Period 6 element with an atomic weight of 204.38. The number of electrons in each of thallium's shells is 2, 8, 18, 32, 18, 3 and its electron configuration is [Xe] 4f14 5d10 6s2 6p1. 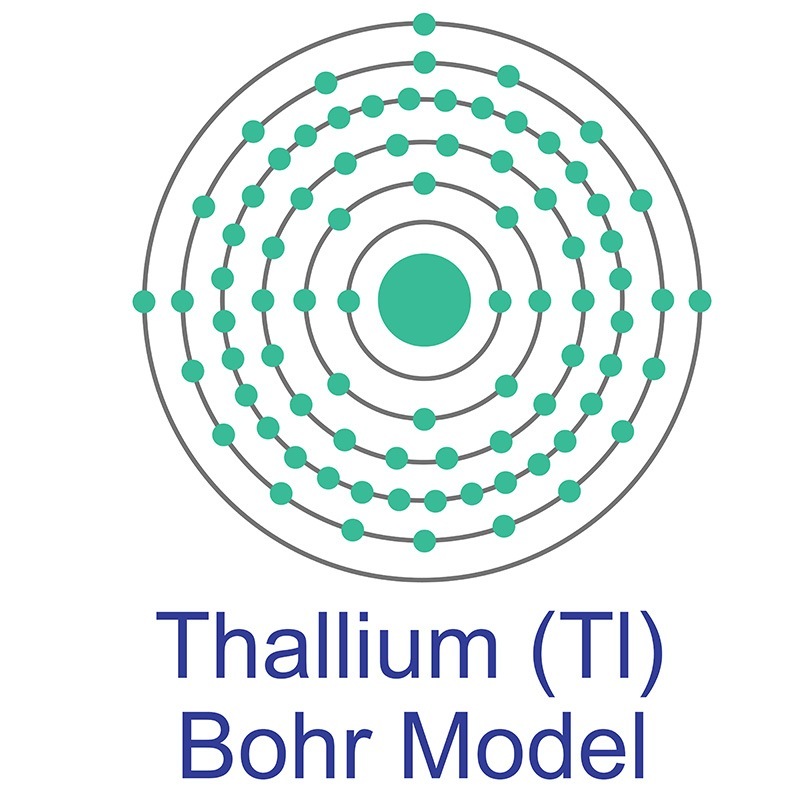 The thallium atom has a radius of 170 pm and a Van der Waals radius of 196 pm. Thallium was discovered by Sir William Crookes in 1861 and first isolated by Claude-Auguste Lamy in 1862. Thallium is a post-transition metal that is not found free in nature. Thallium is primarily used for its electrical conductivity as thallium sulfide, which changes with exposure to infrared light. This ability makes the compound useful in photocells. Thallium bromide-iodide crystals have been used as infrared optical materials. Thallium has also been used with sulfur, selenium or arsenic to produce low melting glasses which become fluid between 125 and 150 °C, while thallium oxide has been used to produce glasses with a high index of refraction, and is also used in the manufacture of photo cells. Its name is drived from the Greek word thallos, which means twig or green shoot. The effects of solvent and ultrasonic irradiation in synthesis of thallium(I) nano supramolecular polymers and use them as template for synthesis of thallium(III) oxide nanostructures with desirable morphology. The effects of altering reaction conditions in green sonochemical synthesis of a thallium(I) coordination polymer and in achieving to different morphologies of thallium(III) oxide nanostructures via solid-state process.